In August, 10,000 roses were placed in the atrium of Bell Works. 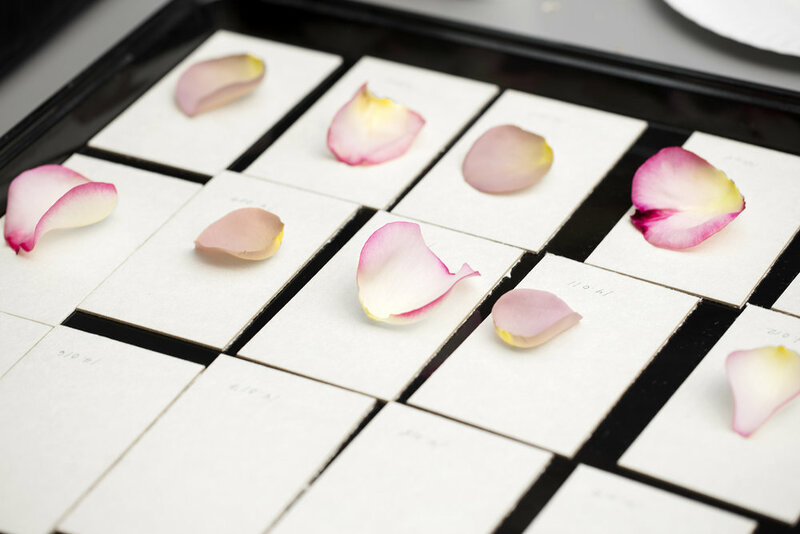 The work of photographing the individual petals and turning them into a dataset was performed by sixteen men. 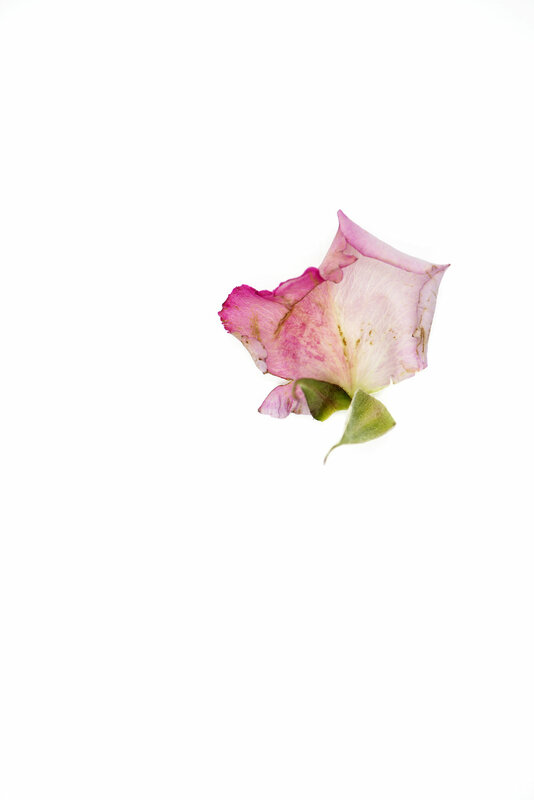 The photographs, a sequence of petals, reenact the rose. Beauty compels the act of replication. In 1984, the Bell System was first broken up, and subsequently downsized as the nature of scientific research adapted to corporate needs. Bell had ushered in the age of information; the building was abandoned and nearly demolished. The walls resonated, the whiteboards still bearing formulas and the switchboards numbered by hand. In August 2016, the building was being revitalized as multi-purpose space by Somerset Development -- now, Bell Works. The haptic illusion arises. An act of touch may reproduce itself as a smell or a thought: the odor of a rose finding the breath of a long absence. To create mental images we use the same neuronal paths that make up material sensory perception. 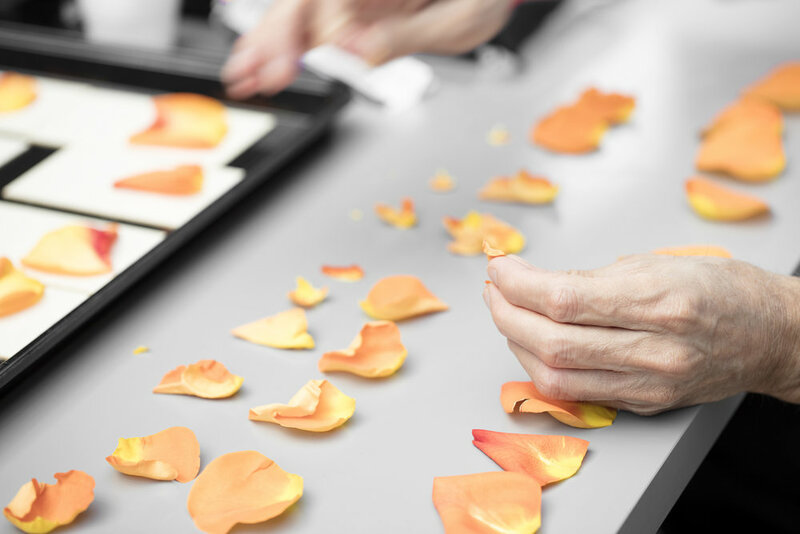 Thousands of images of petals will pulse through wires and populate servers. 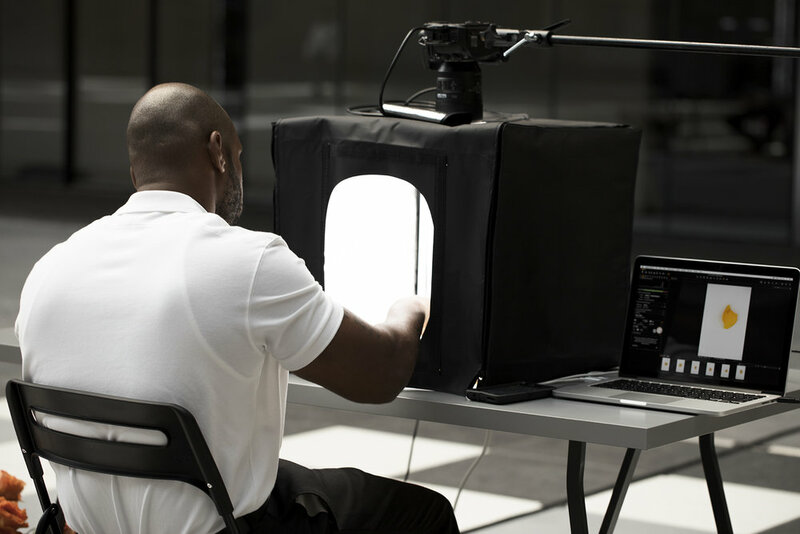 The archive, a machine readable location, or the act of transferring data becomes a compulsion. Repetition produces what it repeats. Rose petals touch rose petals — the accumulation and safe-keeping of petals as the transmission of information, a sustained set of acts. 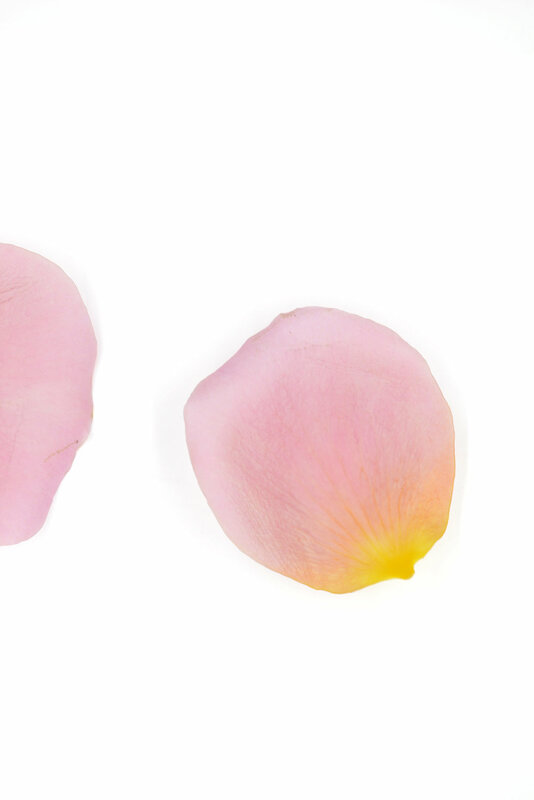 The last act: to hold the terabytes of digital data alongside the preserved petals themselves as both archives. The loving search: is color imbedded into the material object, in the way that the data is embedded as ones and zeroes? The genetic code of a rose, an archive of our desire. Generative adversarial networks are a branch of unsupervised machine learning — implemented by a system of two neural networks competing against each other in a game. One is a generator and one is a discriminator. The 100,000 images of petals serve as the training data from which it can learn its attributes: the color and vibrancy, shape and contour, pattern of the pixels. Installation view, Cloud of Petals, Red Bull Arts NY. Photography by Lance Brewer, 2017.